It's a male-dominated industry known for muck and grime, and physical labour, but plumbing is now becoming a sought after career for young female apprentices too. Rheem has recently awarded grants and recognition awards to a selection of apprentices across the country and again this year, several of the winners were women. These determined ladies are demonstrating every day that women can thrive in traditionally male-dominated industries. In fact, the supervisor of one of our winners said, 'She out performs any other apprentice I have been involved with in my 20+ year plumbing career across several countries." Question: What inspired your career in plumbing? 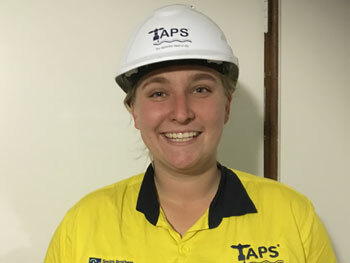 Amber Shelton: I've always wanted to do an apprenticeship as I have always admired the ingenuity required by my father in his role as a builder. I finished a degree at Adelaide University and work opportunities in Adelaide relating to it were limited and so I decided to revisit my childhood tradie dream and take up a job where I could work with my hands. In addition, I had also seen some stats on wages that indicated that a first year tradie on average gets paid more than a female university graduate and so passion wise as well as financially wise it just made sense. Question: How long have you been a plumber? Amber Shelton: I am one and a half years into my four year apprenticeship. Question: How did it feel to be recognised with a Rheem award? Amber Shelton: If over the moon could be an emotion, it would be that. I was ecstatic to be a recipient of a grant knowing that it would help me out with tools and financial stress allowing me to focus on becoming the best plumber I may be. More tools mean more opportunity to learn new jobs and so I am truly thankful to Rheem for the great initiative. Question: What's a typical day like, for you, as a plumber? 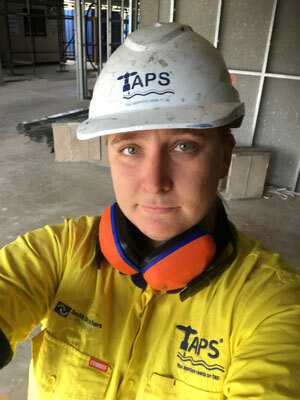 Amber Shelton: I work in construction and so a typical day involves high vis, hard hats, a huge emphasis on safety and lots of jokes with fellow plumbers and other trades. We tend to start before 7am which often means starting work with a beautiful sunrise. The main role I've taken on within the plumbing crew is working on drains and so throughout a day I'll do one or two drains for apartments or rooms. The best part of the day is taking a step back and seeing quality work and knowing that the eventual users will not have any issues as the work is high quality and to standard. Question: How did you overcome the challenge of being a women in a male-dominated industry? Amber Shelton: I think not considering it as a challenge has helped a lot. I'm just there to work and the sooner people see that the easier it is for me to get on with my work and to show people what I am capable of. When more women choose to show what they are capable of on site the less stereotyping will get in the way of doing the job. The guys I work with have been great with considering me as just as capable as any other apprentice and that has meant I have been given the same opportunities to show what I can do. Question: Can you share your career goals, with us? Amber Shelton: Currently I am only new to the industry and so I am still working out which stream (laughs) of plumbing I'd like to go in to. Ideally I'd like my future work to focus on environmentally sustainable practices; I'm still working how that might fit in with my plumbing career.